My mind is always running at a thousand miles per minute. I’m always thinking of something, questioning something or having an opinion about something. It can be a situation, a picture (or image), a sentence or a word; anything can jump-start my mind. Unfortunately, I don't always have the audience to converse with nor the proper avenue, with which to direct my different points of view. “Food for Thought” is my outlet. While I'll be sharing random opinions, stories and thoughts, I would love to get yours in return. I couldn't have possibly chosen a better day to start my blog; my heart is full of joy thinking of this New Year, full of possibilities. So for my first post, I just want it all to be about stepping into 2012 with positive attitude. They say, "Out with the old and in with the new", but I say "Hang on to the old" so you can “Go into the new". It will help to make you wiser and more experienced. It will make you cognitive of what's left behind (which you should learn from), and aware of your own ability to discern changes and the progress that need to take place. 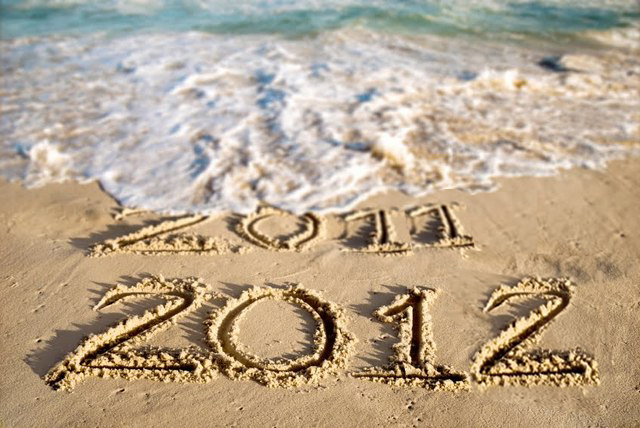 2011 has given me my share of challenges, trials, upsets and doubts, offset with answers, solutions and happiness. I firmly believe that regret shouldn't be part of our life’s luggage. Every single action we make, regardless of its outcome, is one we set ourselves into. The mistake we consistently make is focusing on the "why" we did what we did, instead of making sure we move forward, not stepping on the same stones. Believe in resolutions, believe in setting yourself up for all the blessings you are due to receive; only you can set that "right foot” forward toward a better you. Life is truly not about finding yourself, but about creating the person you were meant to be. 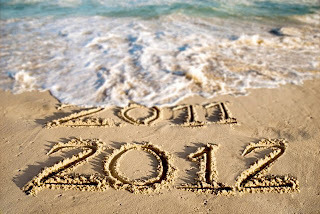 Let Twenty Twelve be a year full of blessings, joy, happiness, surprises, experiences, strength and growth. Let's make every single day the best it can be. Regroup every night, mindful of the lessons learned and aware of the missed opportunities. Remember to say "I Love You" every time you get a chance. Ok, so....I committed not to commit to something because I thought, "...everyone does that every New Year!" but, your right RosieSandz, I'll drag something I needed to do into this year to complete it! I'm sure it'll be kicking and screaming but, so what! I'm the Boss in 20/12!! Look forward to the insight all year!! Deane when you commit to commiting to nothing its still a commitment, an unproductive one but still a commitment! So I'm glad you decided to change your mind :) Although I have a hard time believing anyone will live their lives not wanting to do better or at least strive for "something" -especially for 20/12 Boss-. Drag it, let it kick or better yet do bran new just as long as you set yourself for better! Thank you for including me! I agree completely with you and thank you for reminding what is important! Hi Rose, I love your post because it's so on the mark. I've dragged my perspective and clarity from 2011 right into 2012. 2011 was a great year of growth and triumph for me. For every up I learned to be grateful and for every down, I learned a lesson. I look forward to stopping by and checking out what's on your mind. Much success! Much Love! Oni M.